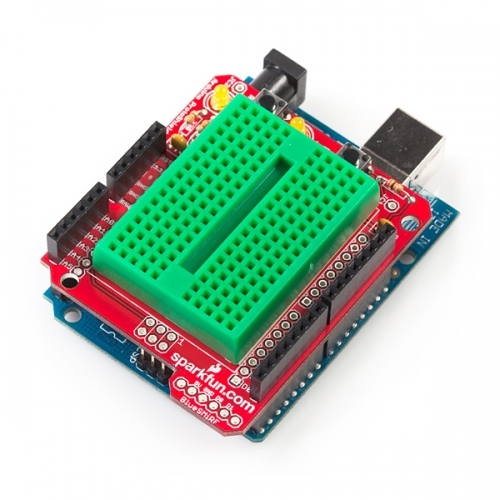 Description: Riding on the waves of the very popular Arduino USB board is this small prototyping shield. the ProtoShield mates with the Arduino USB board and gives the user a small soldering area, two general LEDs, access to a BlueSMiRF socket, a general pushbutton switch, and most important of all - the Arduino reset switch is brought to the top level. 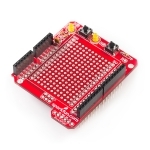 A ProtoShield quickstart guide is available! 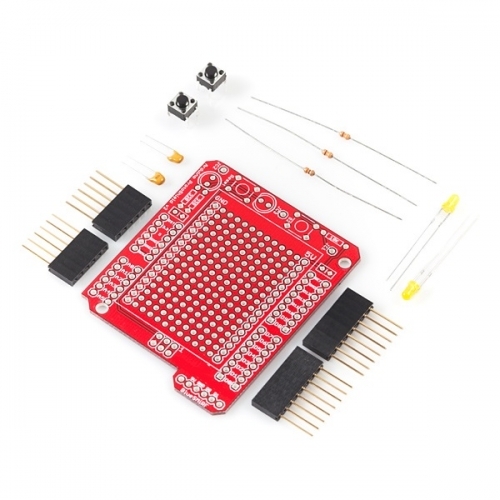 This comes in kit form and must be soldered together by the end user. There are a few tutorials on assembly listed below. All soldering is through-hole (relatively easy) but always check your component orientation before soldering!